Question 1. What is the difference between the 'Understanding Everyday Australian' and 'Understanding Spoken English' series? Question 2. What are the learning levels of each of the resources? Question 3. Can the resources be used as self study guides, without a teacher's assistance? Question 4. Which varieties of English accents are used on the audio CDs which accompany the books? Question 5. Which student workbooks have accompanying audio CDs? Question 1. What is the difference between the 'Understanding Everyday Australian' series and 'Understanding Spoken English'. 'Understanding Everyday Australian' series and 'Understanding Spoken English' have almost the same topics areas and follow the same step by step format for listening, understanding everyday language and practicing grammar. However, the focus of the listening activities in the 'Understanding Everyday Australian' series is the everyday language used by Australians in business and social situations, whereas 'Understanding Spoken English' has an international focus. This means the conversations in 'Understanding Spoken English' contain expressions that would be familiar throughout the English speaking world, in the media and in business and social situations. The audio for the 'Understanding Everyday Australian' series presents Australian accents, whereas in 'Understanding Spoken English' a variety of native speaker accents from around the world are presented - including North American, Australian, New Zealand and various British English accents. None of these are strong regional varieties as the purpose of the resources is to familiarise students with spoken English expressions as they are encountered in English speaking environments around the world. ’English Language Skills - Level One Student’s Workbook’. 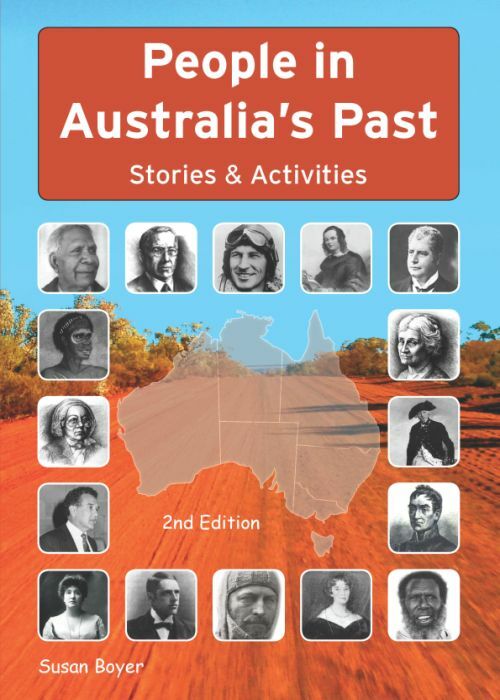 ‘People in Australia’s past’ (reader and language workbook). * Note: Learners abilities vary enormously with vocabulary, grammar, speaking, listening, reading and writing skills. However, all our resources can be used as self- access material at the learners’ own pace as answers and reference lists are included in the student's books. Yes, all the student's books can be used as self study guides as they have step by step instructions and answers are included in the books. * ‘Understanding Everyday Australian’ audio CDs contain Australian accents. * ‘Understanding Spoken English’ audio CDs present a variety of native speaker accents from around the world - including North American, Australian, New Zealand and various British English accents. None of these are strong regional varieties as the purpose of the resources is to familiarise students with spoken English expressions as they are encountered in English speaking environments around the world. * 'Understanding English Pronunciation': Speakers on the audio for 'Understanding English Pronunciation' are British and Australian, however the accents presented are not strong regional varieties. The pronunciation modelled conforms with British English 'dictionary' forms. We have received positive feedback from around the world from users of 'Understanding English Pronunciation'. 'English Language Skills - Level One Student’s Workbook’ audio CDs contain Australian and British accents. 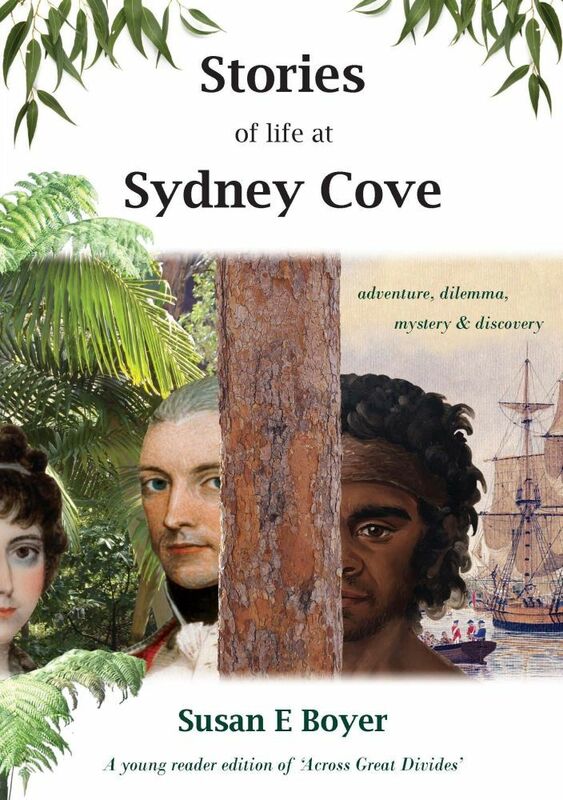 ‘Understanding Everyday Australian’ student books 1, 2 and 3. ‘Understanding Spoken English’ student books 1, 2 and 3. The following is Susan Boyer's response to a Director of Studies at an Australian university who enquired about UEA and USE. but with 'international' expressions.... So after much research, I developed 'international versions' of the units, in which each conversation contained expressions that are used in the UK, US, NZ as well as Aust. etc. Some of the units in 'Understanding Spoken English' are quite different to 'Understanding Everyday Australian', some are similar and some units have been omitted completely because they wouldn't be applicable to an international context. For example, 'Politics and Government' in UEA 2 was omitted; 'Socialising at a Barbecue' in UEA which uses expressions such as 'barbie'and 'mozzies' was replaced in 'Understanding Spoken English' with 'At a Social Gathering' which has a completely different conversation but in the language analysis section still focuses on strategies for 'starting a conversation', 'making small talk' & 'appropriate & inappropriate topics'. The audio recordings for 'Understanding Spoken English' provide a variety of English speaking models, eg. UK, NZ, US, Aust & Sth African English but none are strong accents; 'Understanding Everyday Australian' uses Australian speakers only. My suggestion would be to ask your library to buy them, then you and your staff can compare them at your leisure.